Through research and the help of friends this eco-sista knew it was something she had to do. How long have you been eco-friendly? I would say that I'm not 100% eco-friendly yet. I first started to go on the road towards becoming more eco-friendly a little over 1 year ago. Some of my college buddies were in the campus organization (EARTH Club) and they told me about it and I was intrigued and wanted to learn more about it so I joined. A lot of the work done was geared towards learning how to become more eco-friendly and learning more about our environment in general. Why did you choose to be eco-friendly? With the help of my friends and doing my own personal research about it, it was something that I knew I should be doing and I wanted to. By becoming more eco-friendly we are helping our enviorment with some of the little things that we do and I want to do my part to make our environment and surroundings better. What do you like about it? The main thing that I like about it is that "it's right". By this I feel as though its the right thing to do. It's not hurting anyone or offending anyone, becoming eco-friendly is basically helping us all. Did you face any challenges? If so, what was/is the biggest obstacle(s)? Yes, In the beginning I had a lack of knowledge about it. Eco-friendly wasn't something that I grew up learning about in school so I had no clue at first what to do and what not to do. Any tips/advice for someone looking to be more eco-friendly? Read books, browse the Internet, ask a friend, etc. The more knowledge you know about a certain subject can benefit you significantly! Going green can be complex. This discourages a lot of people. There’s really no “right” way it's basically trying to do something than nothing at all. I sometimes feel like a green hypocrite. Do you feel that way sometimes? Sometimes, like you said it can be "complex" but that's why you have to do your own research and make your own opinions about the subject. You know I gotta ask, How long have you been natural and how do you keep it so FLY? I have been 100% natural for 10 1/2 months now! I was a long term transitioner and last year I finally decided to stop transitioning and start on my natural hair journey. 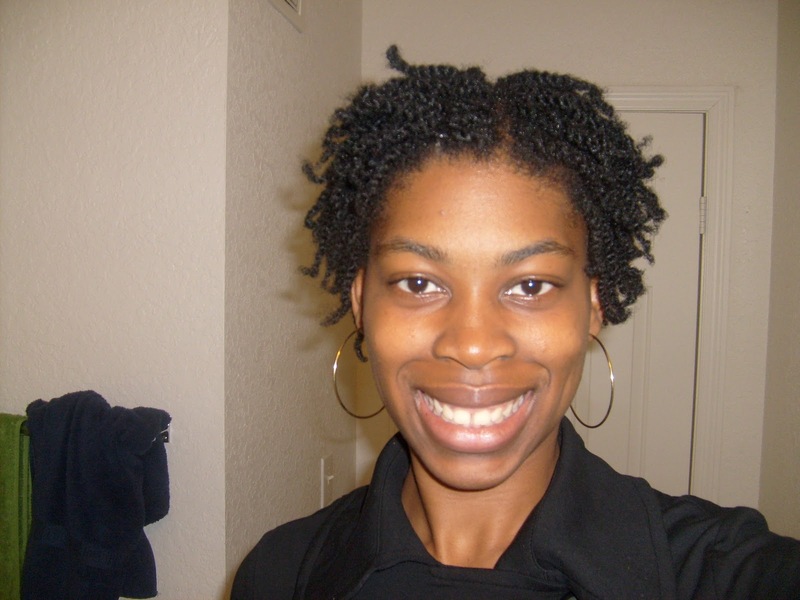 I style my hair at least one a week mainly in protective styles such as 2 strand twists and pinned up styles. Is there anything you like to add? Thanks so much for featuring me on your blog, I deeply appreciate it and I wish you much success with everything you do! I would like to share the link to my blog "The ABC's of College" http://theabccollege.blogspot.com/ I offer advice and tips to my readers on how to pursue a higher education.